Who are they, owners of the Bitcoin exchange Mt.Gox? Digital currency Bitcoin has recently attracted a lot of attention for obvious reasons: the course BTC two months rose from $ 20 to $ 105, while the European Union are discussing whether to apply the experience of Cyprus in other countries, where the crisis situation develops. Some believe that the partial withdrawal of the deposits of the population – is a normal method of the public debt, something like the income tax. BusinessWeek magazine recently wrote that, in such circumstances, Bitcoin may be the last haven for the savings of personal finance. “The digital equivalent of gold” provide complete anonymity and security of payments purse of any encroachments by the state or other authorities. The problem is only aware of BTC, which has recently been growing too fast, which can lead to instability and unnecessary hype in the financial BTC-market, as last year, when the rate fell from $ 31 to $ 2. Because of course of growth BTC the general capitalization of all bitkoins in a turn already exceeded 1 billion dollars. 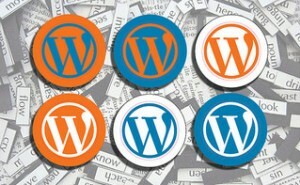 Bitkoins payments accept Reddit, WordPress and many other services. Curiously, about 76% of all exchange transactions BTC / USD through the largest stock exchange Mt.Gox. Its turnover is around $ 6 million a day, about one percent of which ends up in the pockets of the owners of the exchange, as commission. The journalists The Verge has conducted an investigation to find out who owns this market and what motivates its owners. Mt.Gox owners depicted in the photo. 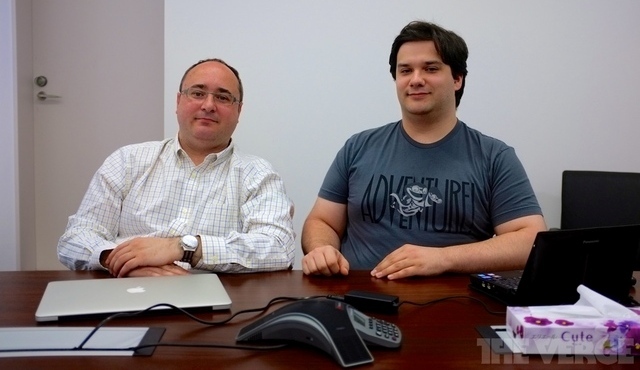 Right – Executive Director Mark Karpeles, left – marketing director, journalist and blogger Gonzague Gay-Bouchery. Headquartered Mt.Gox is a high-rise office building in Shibuya, Tokyo. Here and there are 18 employees. Mark Kerpeles bought Mt.Gox site in 2011 from its founder and developer Jed McCaleb (Jed McCaleb), also known as the author of the program eDonkey. Generally, Jed was originally developed for the exchange of the exchange game cards Magic: The Gathering, and this explains its odd name, but his ongoing interest to geeks bitkoinam exceeded interest in card games, so that in 2010, the exchange started to serve a new direction. The business grew rapidly. Over time, McCaleb is no longer enough resources to service exchanges, and he appealed to the French entrepreneur Kerpelesu which since 2009 has lived in Japan and has been in business on the Internet. He agreed to buy the project. Sam Jed McCaleb is currently working on developing a new digital currency ‘Ripple’, the presentation of which is to be held this year. « BioShock Infinite will become board game!